The first border in this list can be used for birthday party invitations, mini birthday scrapbook pages, or birthday greeting cards. This border can be opened in any graphic program and edited. Using a blue text would really make this border stand out. You can also use a neat font to add that bit of excitement to it. You can find some really neat fonts right here on Bright Hub. If you are using it for a scrapbook page, you can fade the photos into the gold section, or make the photos stand out by adding a bright blue, bright green, or one of the other bright colors in the border fame to the photos. The next border would make a great birthday border for invitations. 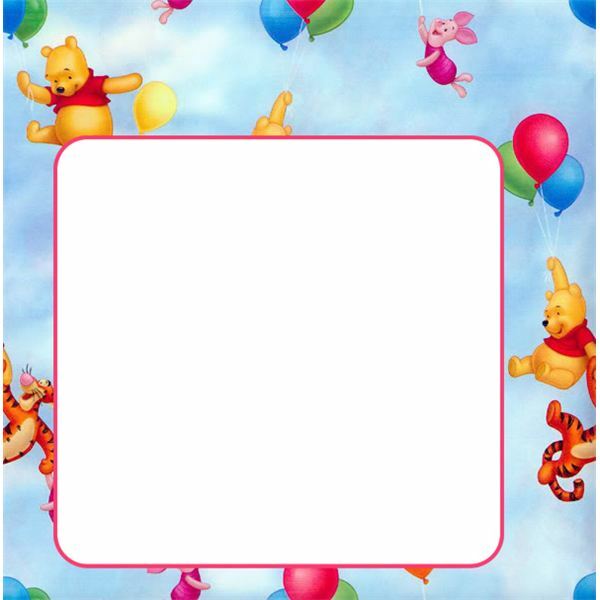 This border will probably work best for babies or a small child since it is Pooh Bear. To use this as an invitation, you can open it in any graphic editor and add the party information in the center of the border. You can use a child's font to make the invitation fun looking. You can use a mix of colors for the text as well, but I would use the colors found in the border. 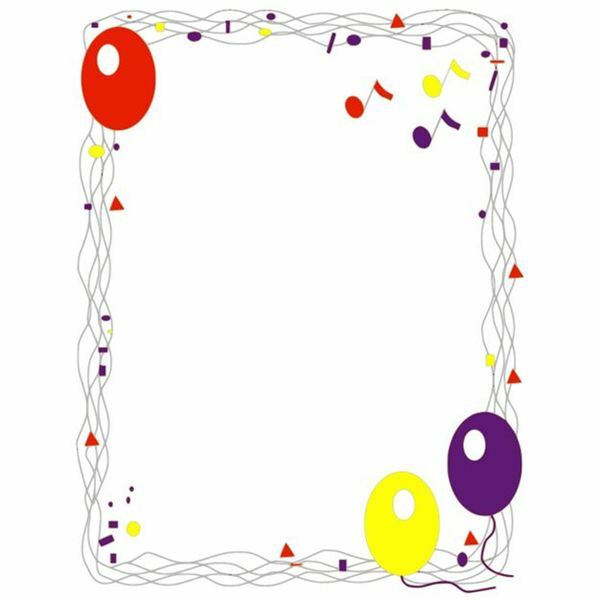 This is a fun balloon border you can use for invitations, greeting cards or small scrapbook pages. If you wanted to use it as an invitation or greeting card, you can open it in any graphic editor and add the text needed to make the invitation or greeting card. 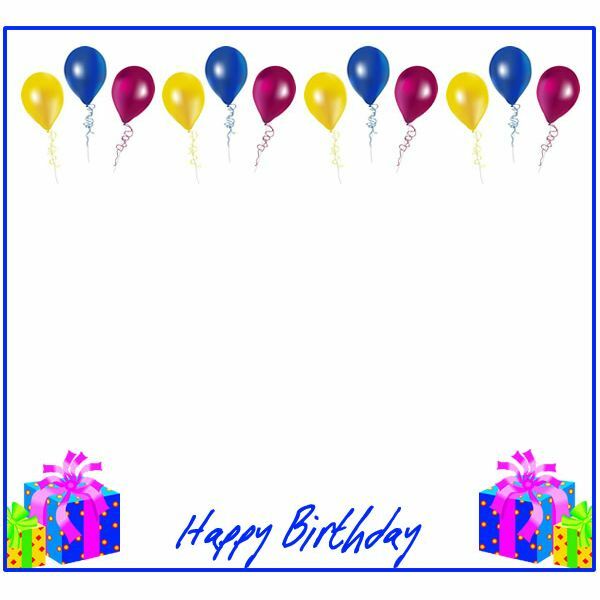 If you have balloon graphics, you can also add them to the border to give it more of a birthday look. The next birthday border I created is very simple with some balloons at the top and presents at the bottom. I added the greeting to give it more of a birthday look. You can open this border in a graphic program like Photoshop, Illustrator, Fireworks, Gimp, Inkscape and other graphic programs to edit it. You can add more text to create a greeting card or party invitation. You can also open this border in a graphic editor or scrapbook program and create a mini scrapbook page by adding photos and frames to the photos. 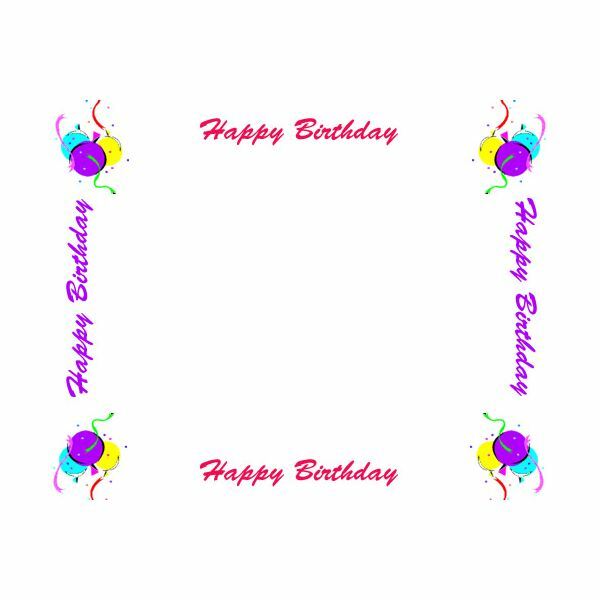 If you are looking for birthday borders for invitations, take a look at this border. This border has a bear sitting down with balloons behind it. I also added a greeting that says "Birthday Time". With that type of greeting, this border will probably work best for an invitation. 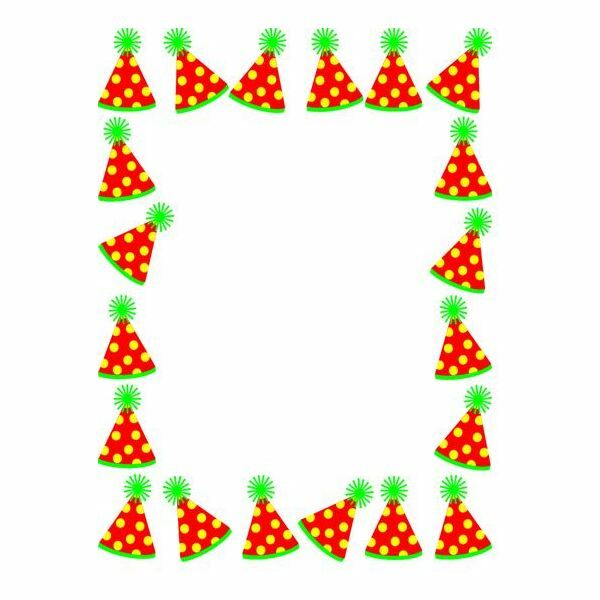 You can open it in the graphic editor you use and add the birthday party information. You could also turn this border into a photo frame. All you would need to do is open the border in a graphic program and place the photo on the left. Then use an inset bevel to make the photo look like it is in a frame. The next birthday border can be used for just about any type of DTP project. You can open it in a graphic editor program and turn it into a greeting card, party invitation or anything else you want to create. If you have some graffiti clipart or balloons clipart, you could add that to the border to have more graphics. This is one of the borders I found online. The balloons and greetings birthday border is one of those borders that will work with many projects. When I look at this border, I think of small scrapbook page. I can see smaller photos rotated on this border with frames to match the greetings on the border. You could open this border in any graphic editor and add your photos. Then you could draw squares or rectangles over the photos to create your frames. Remember to change your fill to transparent. Then use the border color for the actual frame. The next border in this list is another border that would work wonderfully with just about any type of birthday project. 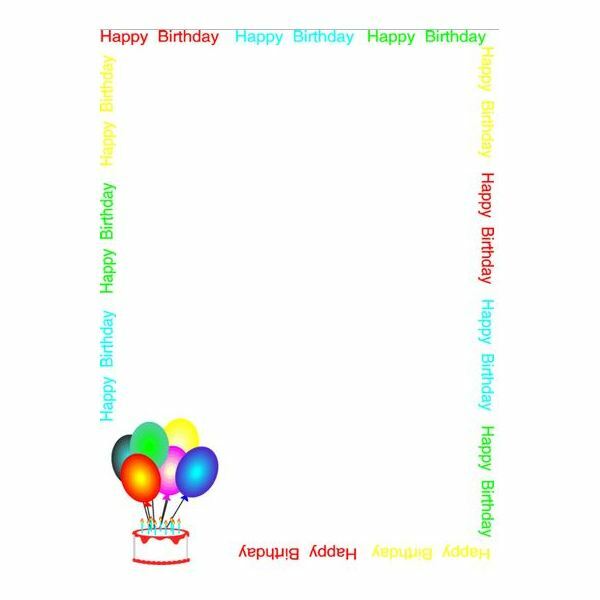 You could open it in a graphic editor and use a child's font if you wanted to create a child's birthday card. You could also use it as a mini scrapbook page by opening it in a graphic editor and adding your photos and creating frames for it. 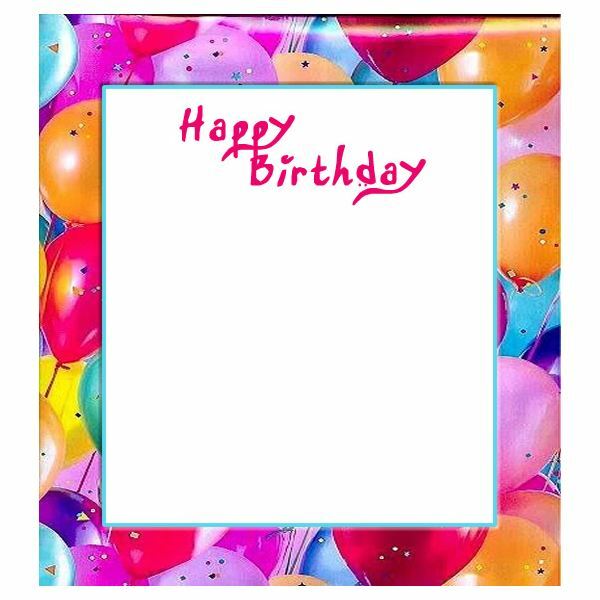 You could also create yourself an invitation for an upcoming birthday party by adding the party information to the border. This next border is a simple border with party hats. The red and green party hats frame the entire border and would probably work best for birthday party invitations. It would be a bit difficult to use this border as a scrapbook page due to the limited space, but you could use it as a framing tool. You may want to stick to using it for an invitation or a greeting card. You can simply open this border in a graphic program and add text to create an invitation or greeting card. You may want to use a fun type font for the text. This also may be a border you would want to use for smaller children. 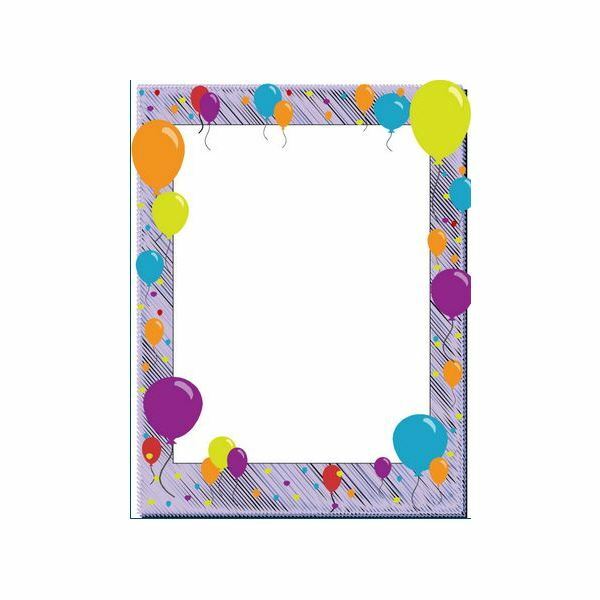 The last one in our list has a textured purple border with different color balloons. I love this border because of the beautiful colors. 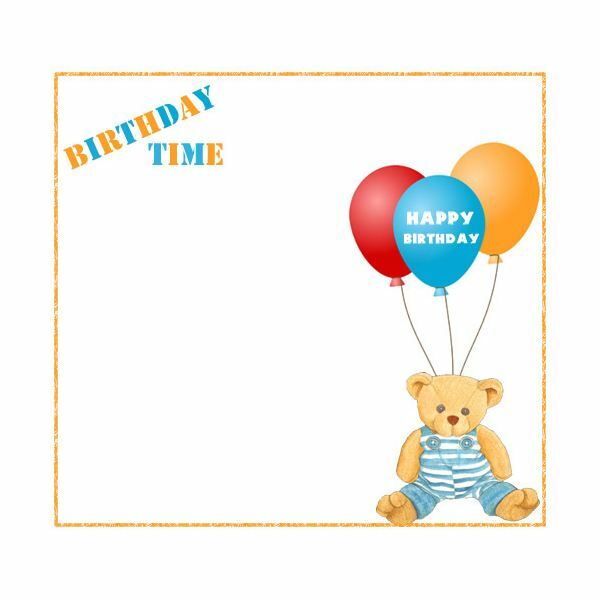 This is one of those borders where you can create many types of birthday DTP projects. This border would make a beautiful scrapbook page for someone's birthday. You could place smaller photos in the center of the border and use different color frames to match the balloons. 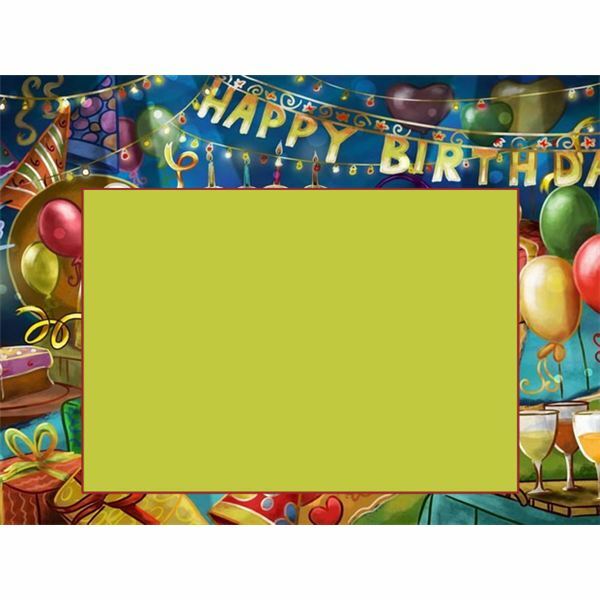 You could also use this border for greeting cards and birthday party invitations. You would simply need to open the border in your graphic program and edit it from there. If you are creating greeting cards or invitations, you will probably want to use the balloon colors for your text. You could use different text colors to make it fun. The first six borders in this guide was created by the author of this article. You are free to use these borders for personal use only. The last four borders belong to their respective owners.